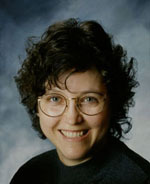 Amy Reece is a high school teacher who writes Young Adult novels from her home in Albuquerque, New Mexico. She has four books in the paranormal romance series The Seeker from Limitless Publishing. 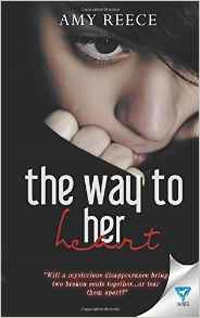 Her latest release is the romantic suspense novel The Way to Her Heart (Limitless Publishing, 2016). You can find her on her websites AmyReece.com and AmyReeceAuthor.com. Also, check out her author page on SouthWestWriters.com. What is your elevator pitch for The Way to Her Heart? When 18-year-old Josh Harris finds himself captivated by his new economics partner, he knows he’s in trouble. First, he already has a girlfriend. Second, his life has been completely overturned by tragedy. Bernie Abeyta has major troubles of her own. Her dad’s in prison and her mom is a drug addict. Things get so bad at home she finds herself living out of her car. Josh tries to ignore his feelings for this troubled girl, but finds himself drawn deeper and deeper into her life. He insists she move in with him and his mother temporarily and tries to help her find out what happened to her best friend, who has been missing for several months. Bernie refuses to believe Gabby ran away and is determined to get to the bottom of the mystery. It’s part love story, part mystery, part cookbook, and all heart. Can this young couple overcome the odds stacked against them? When readers turn the last page in the book, what do you hope they take away from it? I hope readers are touched emotionally. Isn’t that what we want in a good book? I hope readers have laughed and cried along with Josh and Bernie. I hope they continue to think about them and wonder what else happens in their lives. What happens with Claire and Mike? What about Diego? I also hope they make a large donation to a homeless shelter here in Albuquerque. That would be nice! What is it about your protagonists that make readers connect to them? You alternate point of view (POV) between Bernie and Josh—which one did you enjoy writing the most? Did your characters surprise you as you wrote their story? I think readers connect to these two protagonists because there’s a little Josh and Bernie in all of us. At least there is in me. I really like to look beyond the surface appearance. Josh is so much more than the popular, handsome jock. Bernie has layers and dreams that her life in a run-down trailer park doesn’t begin to touch. As far as which I enjoyed writing the most? That’s like asking a mother to choose her favorite child! I loved creating them both and they constantly surprised me! For example, when Bernie kissed Josh for the first time—total surprise to me! That is not what I had planned! She, however, insisted I keep it in the manuscript. She can be very bossy! Official answer: I simply love New Mexico. Real answer: I’m too lazy to research other places. I’m sort of kidding! I do love New Mexico and always knew I wanted to set my novels here. The Seeker Series is based in New Mexico, although they travel quite often to Ireland and France. I have vivid dreams of traveling a lot in the future to find great new settings for future novels. I have traveled a bit in France, specifically the Normandy region, which features in Seer and Oracle from The Seeker Series. I’ve never been to Ireland (insert sad face here) so I had to do quite a bit of research. I also wanted to bring attention to the problem of homeless teens right here in Albuquerque. We have such a great city, but this is a scourge that needs to be fixed. What makes this novel unique in the Young Adult (YA) romantic/suspense market? Looking at what’s available on amazon in the YA romantic suspense market, it seems like much of it is futuristic or dystopian. I think my book is unique, perhaps, because Josh and Bernie are such normal people. I also think the recipe section is fairly unique to YA. How does this novel differ from your paranormal The Seeker Series? First, there is nothing magical or other-worldly in The Way to Her Heart, with the possible exception of Josh’s dreams. The other major difference is in the POV. 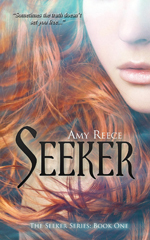 The Seeker Series was, with exception of a short scene in Dreamer, all first person from Ally. The Way to Her Heart is told from a third person alternating POV so readers get to know what both Josh and Bernie are thinking. Marketing tie-ins??? I love this idea! I think I decided to make food so integral because of the importance food has as a basic human need. Bernie is homeless and hunger is a reality for her. Josh has never known hunger, but recognizes the importance of food. Cooking has been a powerful thing in his life, especially since his dad died, and he feels a need to share it with others, especially Bernie. One of my favorite lines in the whole book is when Bernie tells him he doesn’t always have to provide dinner for her when she goes to his house. “It’s what I do, Bernie,” is how he answers her. The basic idea for the story really came from seeing students (I’m a high school teacher by day) who are experiencing various levels of homelessness and being able to do so little about it. I had a student last year who had to leave home and spent most of the second semester couch-surfing among various friends and relatives. The counselor and I tried so hard to get him some help, but the bureaucratic red tape was unbelievable! When he turned 18, there was nothing else we could do. It was heartbreaking. I think I exorcised a few demons by writing this book. It took me about three months to write the first draft, which is pretty typical for me. It was another month or so to revise and get feedback from my street team. I submitted it to my publisher in late October 2015, began the official editing process in January, and the book was released March 29, 2016. When I finished Seeker, I went to a writer’s conference and started looking into the process of querying agents and publishers. I was working on Dreamer, the second book in The Seeker Series, and trying to figure out how to get the series out to the big, wide world. Several dozen rejections later I decided to self-publish. I had some great (I thought) literary titles for the books and designed my own covers. Let’s just say I should not give up my day job to become a cover designer. I self-pubbed the first two books in the series, but kept querying—apparently I am a glutton for punishment. I had quite a few responses that asked for the first 50 pages or the entire manuscript, but no firm offers. I was working on the cover for the third book when things changed. Imagine my surprise when a small press, Limitless Publishing, wrote back and said they wanted to offer me a contract for the whole series. #HappyDance! It has been lots of fun working with them to get The Seeker Series out to the public. The first thing they said was I needed to change the titles. Boo. But they had a point, and I actually went back to the original titles I’d chosen. What are the challenges of writing for a YA market? It’s a tough, oversaturated market with somewhat limited readership. I’m actually working on an adult contemporary romance right now, and I’m amazed at how quickly it is gaining new reads on Wattpad compared with my YA stories. I will always love YA, but market realities are swiftly convincing me to focus more time on the adult romance market. I have some fun story ideas for that, so it’s all good. I just like to write. I’ve always suspected I was a writer, and for many years had vague plans to write a novel “some day.” After raising three kids and completing two graduate degrees, it was time to see if I could actually complete a novel. Turns out that writing is something I fully enjoy, and I don’t have to “make” myself do it. I look forward to my writing time every evening and on the weekends. The summer is pure joy because I can write every day. For me the hardest scenes have proved to be the violent scenes. I get so involved and sucked in that I end up very emotional and usually with a pounding headache. My other creative outlets are music related. I was a band director in a previous life and I still enjoy playing, particularly flute and piano. I play and sing frequently at church and recently took part in a faculty band for the school talent show. We rewrote Survivor’s “Eye of the Tiger” and made it “Eye of the Griffin”—we totally rocked it!!! Seriously, you should check it out on youtube: Cat and the Critical Friends. Just keep writing, just keep writing…. Seriously, though. DO NOT GIVE UP!!! If you love it, write it. Every writer has a different journey and you have so many options available now. Write, query, revise. Repeat. As I said before, I’m working on an adult contemporary romantic suspense, tentatively titled So They Loved. The title comes from Shakespeare’s The Phoenix and Turtle. It’s the first book in a six-book series called The DeLucas. I’m having an absolute blast writing it. You can check it out as I write it on Wattpad.